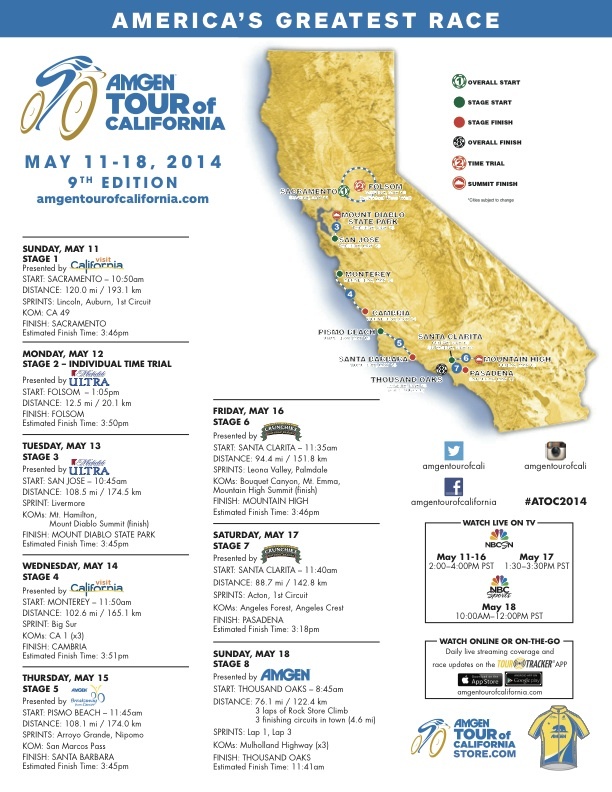 Lots of star power set to descend on the Golden State for the 2014 Amgen Tour of California. Big names include Thor Hushovd, Taylor Phinney, Bradley Wiggins, Tom Boonen, Mark Cavendish, Peter Sagan and Jens Voght. Here’s the full line-up. I wonder if you might help me please, im trying to buy the jelly belly p/b maxxis cycling team kit on the internet but having no success at all. I have been watching the American cycling races( American pro challenge + the tour of California) for a few years now( thanks to eurosports). thank you!